OEPFC Magazine July-August 2018 - Misc. 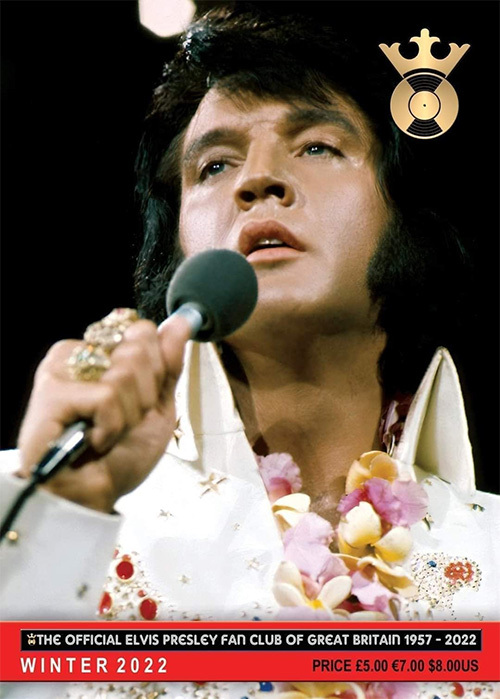 The new issue of the Official Elvis Presley Fanclub of Great Britain Magazine has arrived. In his editiorial Todd Slaughter has info on the cinemashowing of the NBC Special in the UK, for the death of DJ Fontana and next year's "Birthday Weekend"-event, among other things. There's an article on the women that made a difference in Elvis' (professional) life: Marion Keisker and Joan Deary. A huge (deserved) in memoriam for DJ Fontana and an interview with Steve Binder (in a larger article on the 50th anniversary of the NBC Special) give an interesting read. Furthermore there are pieces on Paradise Hawaiian Style, Jack Lord and a flashback of the 1972 trip to the USA by the fanclub.Oh, and there is a last minute leaflet about the upcoming Viva Las Vegas CD, which you can order at the OEPFC below.